Seth Rance has, not for the first time, been dropped from a Black Caps limited overs squad, but has been told by the selectors that he remains on their radar to add to his collection of international caps. 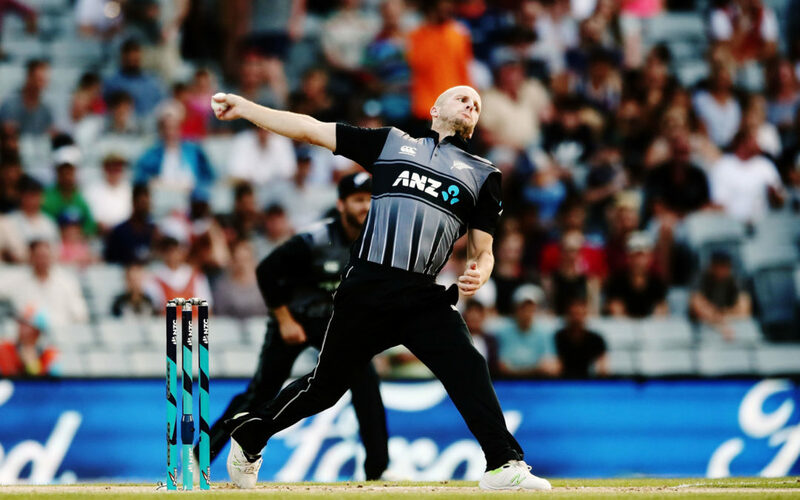 The Wairarapa and Central Districts pace bowler was excluded from the squad named last Thursday to play India in the upcoming Twenty20 series – Wellington on Wednesday, Auckland [February 8] and Hamilton [February 10]. Rance, 31, told the Times-Age on Friday that it was a matter of going back to domestic cricket and putting up the numbers to stay in contention for international selection. He was called into the Black Caps Squad for the one-off T20 match against Sri Lanka last month but did not make the starting line-up. New Zealand beat Sri Lanka by 35 runs at Eden Park. Rance felt his form had been good, so it was ‘pretty disappointing’ to find out he had been dropped for the India series. “When I spoke to the selectors after I found out that I hadn’t been selected, they said I was in the frame for the World Cup – so I’ve got to show what I’m doing to work towards that. “For me it’s back to domestics, trying to push my case from there, and putting my hand up for every opportunity. Rance, who has two ODI caps and five Twenty20 caps, is now expected to return to four-day Plunket Shield action for Central Districts against Canterbury on February 21. Since making his international T20 debut in December 2017 against the West Indies, Rance has played four more international T20 matches. Late last year, Rance was named Fire and Emergency Sports Council’s Sportsperson of the Year for services to his Greytown Fire Brigade and excellence in cricket. “They’ve been there or thereabouts for most of the season and both featured in our New Zealand A short-format teams”. Among the other changes in the New Zealand T20 squad, lead bowler Trent Boult has been rested for the series. James Neesham, Glenn Phillips and Rance were also dropped. Kane Williamson, Doug Bracewell, Colin de Grandhomme, Lockie Ferguson, Martin Guptill, Scott Kuggeleijn, Daryl Mitchell, Colin Munro, Mitchell Santner, Tim Seifert, Ish Sodhi, Tim Southee, Ross Taylor, Blair Tickner.